The chairman of the U.S. House Transportation Committee says raising the federal gas tax is off the table, but he’s still confident a long-term transportation bill will pass Congress this year. It’s the idea of lowering corporate tax rates in hopes that American companies would move their money out of offshore accounts and back to the U.S. The Highway Trust Fund will run out of money at the end of July. But the plan does have critics. Last summer, Thomas Barthold, chief of staff of the Joint Committee on Taxation, wrote in a letter to Sen. Orrin Hatch that repatriation could cost the federal government $95.8 billion in lost revenue over a 10-year period. 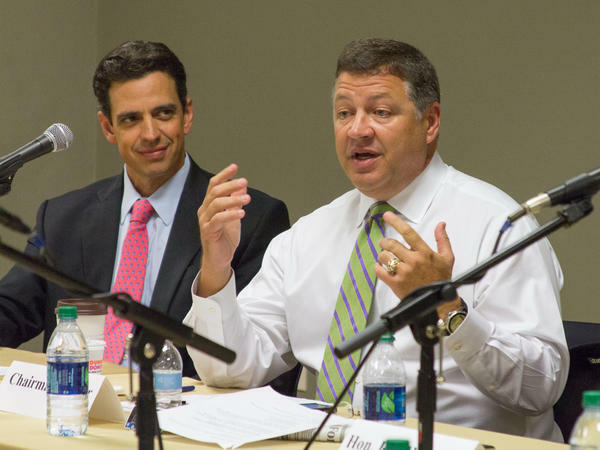 The transportation roundtable was held at Georgia Tech Tuesday and included executives from UPS, Coca-Cola, the Georgia Ports Authority and U.S. Representatives Rob Woodall (GA-07), Tom Graves (GA-14) and Rick Allen (GA-12).